The long-held dream of a state-of-the-art library is coming true for the Sea Vista community. Residents will soon have access to information through the thousands of books, CDs, DVDs and computers, which are housed in the double-storey, wheelchair-friendly facility. 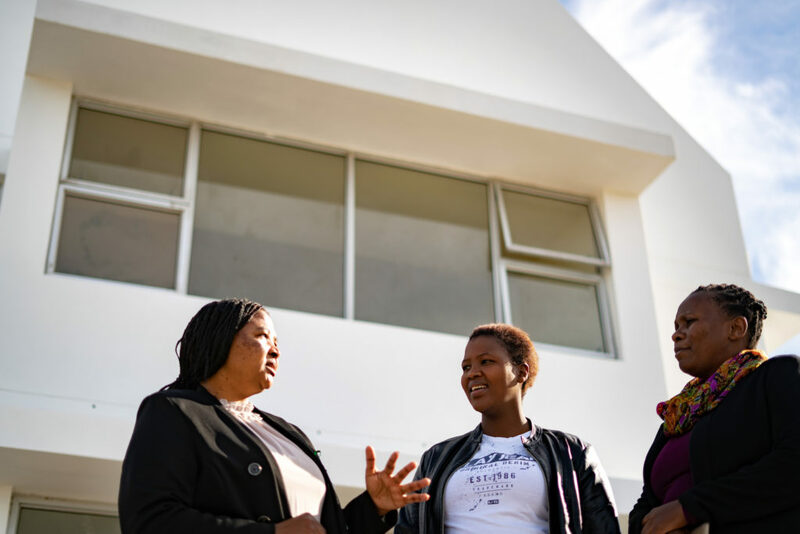 The library is the result of a partnership between Kouga Wind Farm, whose socio-economic development programme funded the R3.8 million building costs, and the Kouga Municipality, which donated the land. The library will boost the educational journeys of the area’s schoolchildren and allow the community to become more self-sufficient. Support from the community and the St Francis Bay Rotary Club, which secured almost 4 000 books from Rotary in America and Europe, contributed to the project’s success. Nordex, which manufactured the wind farm’s turbines, also donated a R170 000 security system to keep the books safe and secure for users. Sea Vista resident Nozuko Ntshota says the library will make things much easier for children whose education suffered because parents couldn’t afford to pay for travel to the Humansdorp library.